ORLANDO, Fla. – What might have been the worst kept secret for over the last week is now officially, official – the 2016 ACC Football Championship which is being moved to Orlando from Charlotte, N.C. The move of the ACC Football Championships was something FloridaHSFootball.com reported on a couple of weeks ago after the ACC announced they were removing the game from Charlotte. 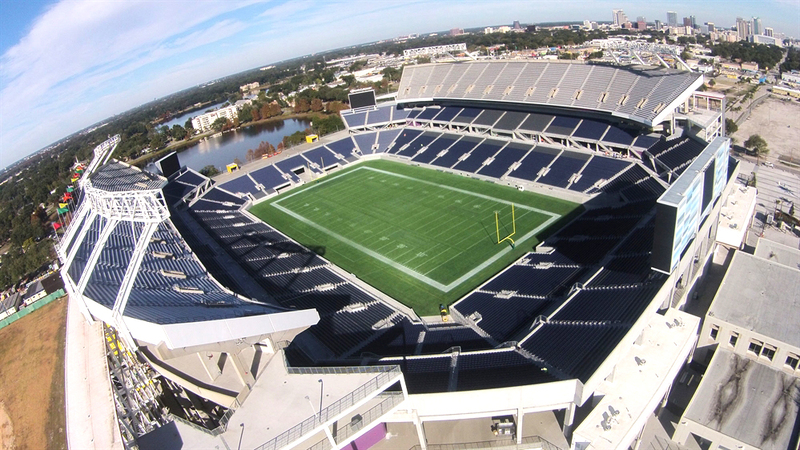 In a press release, jointly provided by the FHSAA and Central Florida Sports Commission, announced that all eight state championship games will now take place over a one-weekend format on from Dec. 8-10 at Camping World Stadium. The original dates of “Drive To December” were previously announced to take place on Dec 2-3 and Dec. 9-10. The FHSAA has intended on going to a one-weekend format starting in 2017, but with the change has brought that start one-year earlier than anticipated to help Orlando accommodate the ACC Football Championship. “We are excited to showcase the best teams in each of the eight classifications over a three-day event. With all championship games being played in just three days, the conclusion of the Drive to December will be action-packed,” said Dearing. The Central Florida Sports Commission was very thankful for the FHSAA and their flexibility to help them bring the ACC Football Championship to Orlando. The FHSAA plans to announce updated games times and dates in early October for “Drive To December,” but it is expected that two games will be played on Thursday afternoon (Dec. 8), while three games will be played each on that Friday and Saturday (Dec. 9-10).